We are providing Event Marketing Services, as part of our Event Management Services. Service offered in U. P., Bihar, Jharkhand, M. P., Punjab, Haryana, Uttrakhand. From upcoming to renowned, we create a space and market for our brands and consult our clients from scratch. Developing and Remodeling of the profile and thereafter creating awareness through further brand activation, PR and Events. We have a robust and proficient team that provides you 360 degree event marketing services. From a silent intimate event to a huge scintillating gathering, we provide services as an exhibitor and an event marketer. 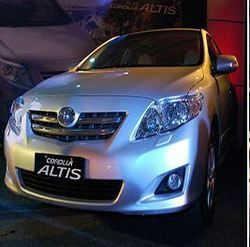 We are providing to our valued customers a fine range of Marketing Foreign Exhibition Service. Exhibitions Services in accordance with industry’s specifications. Our services are provided with the help of professional experts. These are widely used in various sectors. Our services are attainable at best market prices. We offer event marketing service. •Digital Book Wall is a new way to get people to show to others what they think of the event. • It allows the delegates to write their message as well as their signature on the tablets, which in turn gets displayed on the large screen in front of them. 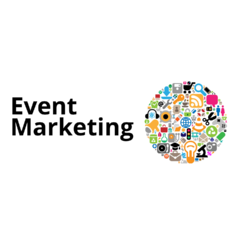 Our company has set benchmark for offering Marketing Event Management Service to the clients. We have a team of smart and experienced professionals who manage, maintain and support the entire event infrastructure. Our team members work closely with the clients to make sure that their particular needs are met. To meet the ever-changing and increasing demands of our customers, we are indulged in providing Marketing Event Management Service. These services are extremely applauded and known in the market for their on-time execution and flexibility. Apart from this, we ensure to provide these services as per the needs and demand of our customers within assured time frame.